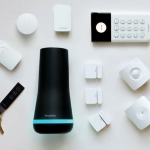 If you have a home alarm system that beeps every few minutes, then you know the exact definition of the word “annoying.” While they’re a necessity owing to their protective properties, they can often become a nuisance instead, beeping randomly at inconvenient times of the day. Imagine getting home after a long day out and crawling into your bed just to get disturbed by your beeping smoke alarm a few minutes later, that too, for no specific reason. It’s agony, let me tell you that. The beeping voice can actually give people a headache if they’re prone to noise-related headaches. If your home’s smoke alarm is beeping every few minutes, then there is most likely a reason behind it that you can fix. If you’re wondering why your alarm keeps beeping and how to stop it, keep reading the points below to find out! Home alarm systems often beep randomly when they’re having battery issues. If your home alarm system is beeping every few minutes, it probably has a low battery. Check the battery compartment of your home’s smoke alarm system. The battery should be properly in place and it shouldn’t be held lose between the two contacts. If you’ve purchased relatively new batteries and you feel like the batteries aren’t low, then you can confirm by removing and installing the battery back again. If this doesn’t fix the issue, then it is very likely that the battery of your home’s smoke alarm system is low and needs to be replaced. Once it’s replaced, the issue will stop persisting. If you don’t have any spare batteries, you can just remove the existing batteries to make sure it doesn’t beep at inconvenient times of the day. 2. Make sure you clean your smoke alarm system regularly. 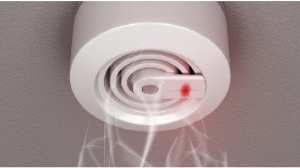 Dust particles trapped in your home’s smoke alarm systems can make it beep randomly. To make such a beeping stop, you need to clean the smoke alarm system. There are many methods of cleaning a smoke alarm system, depending on the kind of smoke alarm system you have. Remove the alarm if you can and then clean it with a vacuum. If the alarm component cannot be removed, use a stool or a ladder to climb up to the alarm and clean it with a portable vacuum. Dust particles can easily get trapped inside the alarm system, causing the alarm to set off randomly. Whenever you’re cleaning the walls and getting rid of spider webs around the house, always clean your smoke alarm system too and vacuum around it in order to regularly remove all the dust in the smoke alarm system. Your smoke alarm system may beep after every few minutes due to fluctuations in the power it’s receiving. This fluctuation can occur at any time of the day and can be coincident with the usage of other heavy machinery. 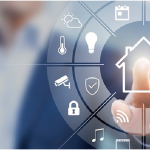 Furthermore, if your home alarm system is connected in the same circuit as other electronics in your house, then it’s possible that turning on those electronics could trigger your smoke alarm system. Not only this but your alarm system may also start beeping before and after the outage of power. Variations and fluctuations in power can change the electrical conductance through the home alarm system at any point in time. Therefore, in case of power outages, your home alarm system may beep owing to the fluctuations of the current that arrive at the smoke alarm system. These low current signals and fluctuations can cause your home alarm system to keep beeping. The only way to stop this is by providing an uninterrupted flow of electricity to the smoke alarm system and by not connecting it in series with other machinery around the house! If your smoke alarm system is located near your bathroom and it usually beeps when you open the bathroom door after a warm shower, then you need to change the position of your smoke alarm system. This is because hot steam from your bathroom could get access to the smoke alarm system and activate it, in which case it will beep every time it comes in contact with hot steam of a certain temperature. This could also be true if your smoke alarm system is located near the kitchen and receives hot air from the kitchen. To prevent such false alarms, you should change the location of your home’s smoke alarm system. Faulty smoke alarm systems that are about to die also give many false alarms. These false alarms may be a sign that you need to get your smoke alarm system replaced. Don’t ignore these signs because a properly working smoke alarm system is necessary for every home as it can save people from a lot of trouble. 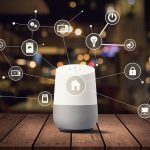 Make sure the new home alarm system that you’re bringing in is of a tried and tested company and won’t keep beeping randomly every now and then. Try to use a smoke alarm system of the latest technology so that you face less beeping issues with your smoke alarm system! These were a few of the most common reasons why home alarm systems may beep after every few minutes. However, the list does not end here. There are many other triggers that can activate the smoke alarm system of your home. However, since the exact anatomy of every home smoke alarm is different, we cannot address all of the reasons that a smoke alarm may go off unnecessarily. Beeping smoke alarm systems can honestly give you a headache. Therefore, if you or anyone you know is going through such a problem, I’d suggest that you introduce these factors to them and tell them how they can overcome those problems. At the end of the day, it’s very important to have a smoke alarm system in every house, regardless of the issues that arise within it!